Sometimes, however, you are injured through no fault of your own. The result can be lost wages, damage to personal property, or worse. While you may be injured and in pain, you also have to handle administrative matters, such as documentation of your injuries or property damage in order to obtain compensation. Even with all that difficult work, receiving compensation is not guaranteed. Mr. Sayler, as an experienced and knowledgeable personal injury lawyer, can advise you on whether you may have a claim and can help you receive the maximum damages recoverable under the applicable law. Mr. Sayler has helped many injured victims win rightful and necessary compensation. He knows how to present your claim, negotiate a settlement, and litigate, if necessary. He assists victims of personal injury as well as insurance carriers who defend against personal injury claims. Whether you are the victim of an injury, or an individual or entity such as an insurance carrier who must defend against a personal injury claim, Mr. Sayler will take an aggressive approach to help you reach the right result. While negotiation is usually the first choice of his clients, he confidently accepts the challenge of litigation. Because he represents claimants as well as carriers, he knows the law and what it takes to achieve the best outcome in any situation. We provide tough and aggressive representation aimed at moving your case forward and obtaining full compensation for your injuries. Whether your claim is large or small, you will receive the highest quality representation. 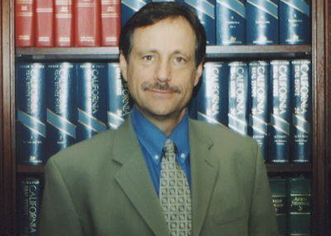 He litigates claims throughout California, in state and federal courts. If you or someone you know has suffered personal injuries as a result of an auto accident, a dangerous or defective product, or other incident at the hands of someone else, you may deserve compensation for the medical bills, lost wages, and pain and suffering that arise from the injury.